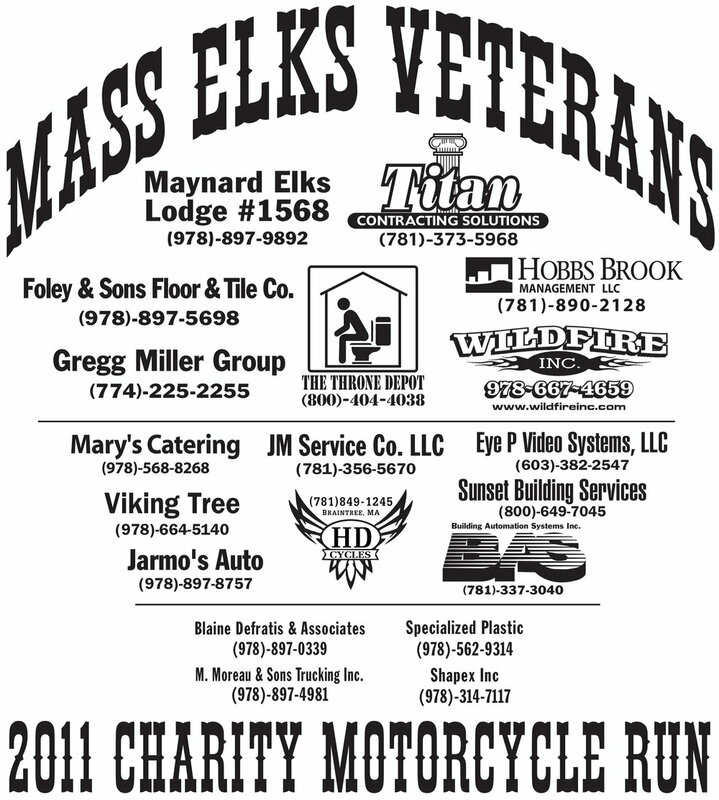 We couldn't do this without the generosity from our Sponsors! 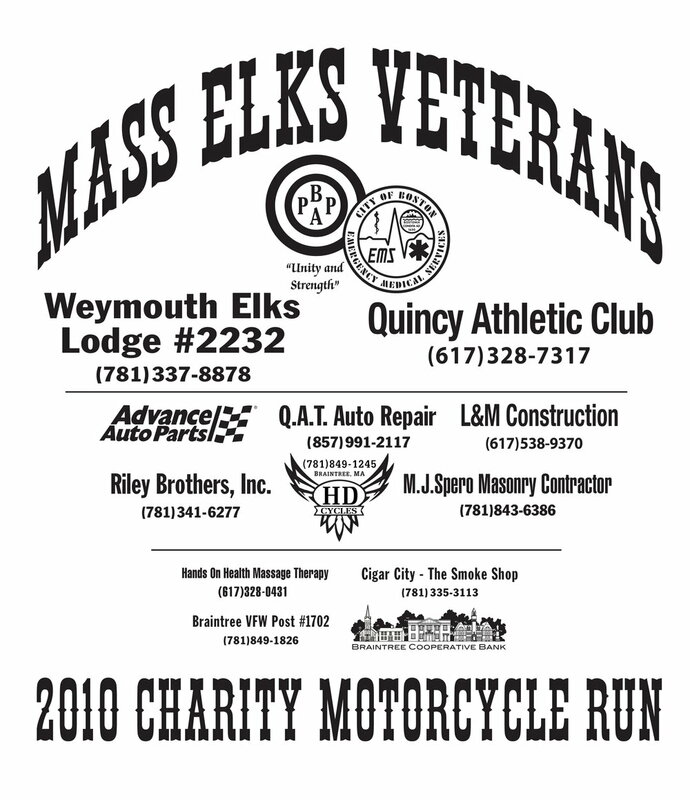 Every year, the money we raise is spent on various veteran’s endeavors. 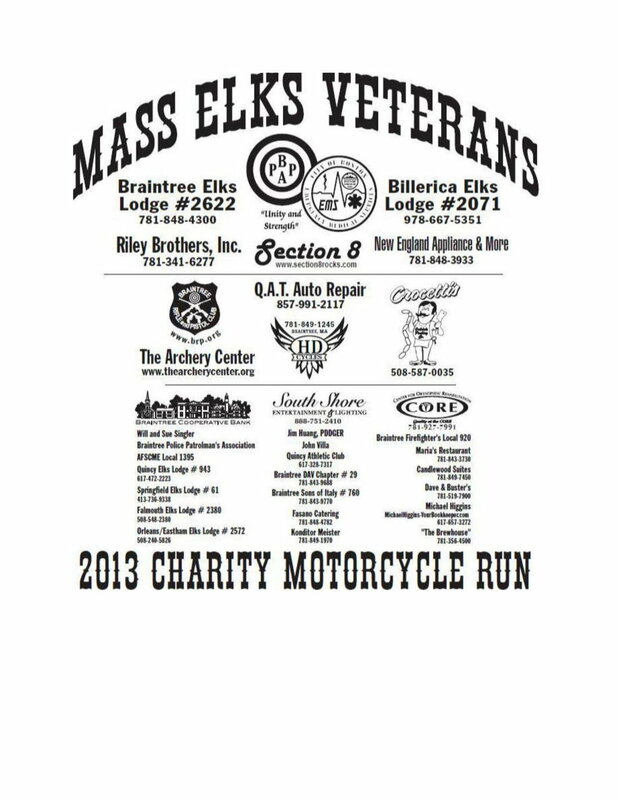 Not only do we provide thousands of dollars to the veteran’s hospitals each year so the patients can purchase toiletries and other necessities, we also host many events throughout the year. 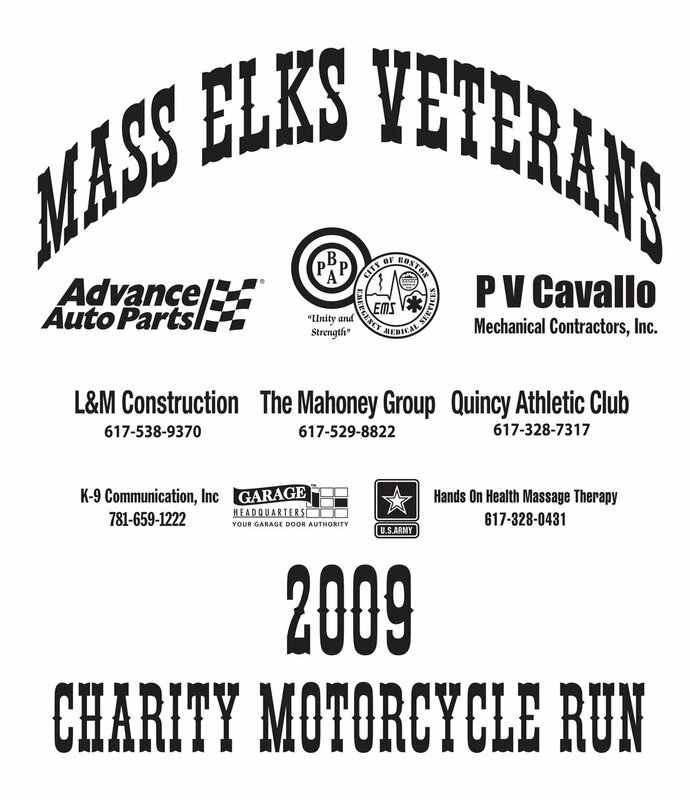 In 2016, we gave the Veterans 10 plates (at $2,000 each) to go from the sidewalk down into the beach so they can enjoy the fun in the sand and therapeutic properties of the water. 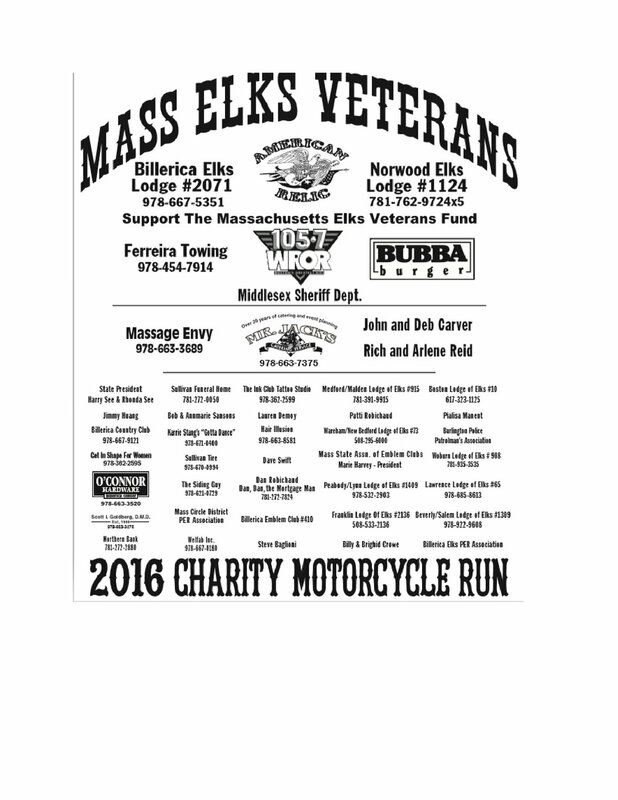 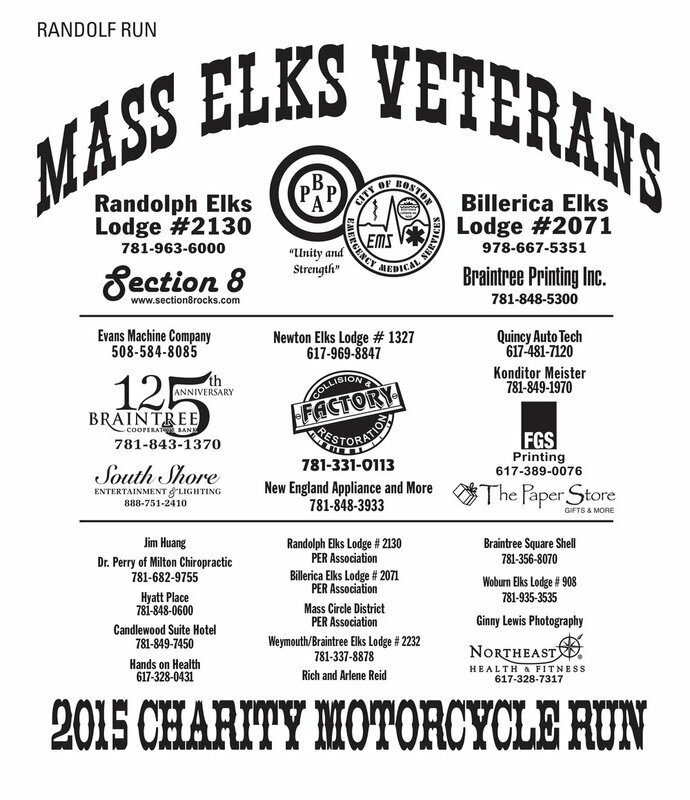 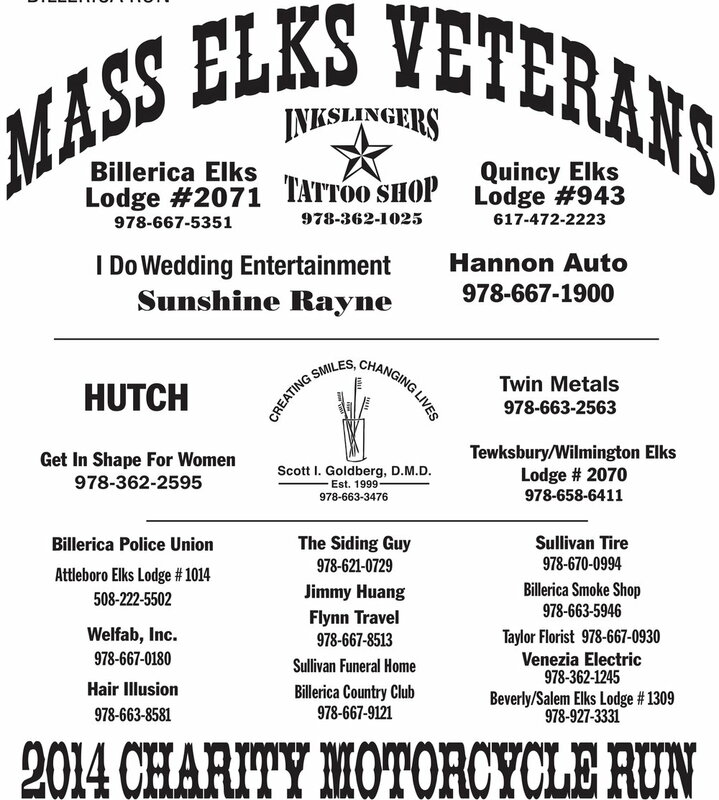 THE 2017 MA ELKS VETS BIKE RUNS IN BILLERICA & FRANKLIN WERE A SUCCESS. 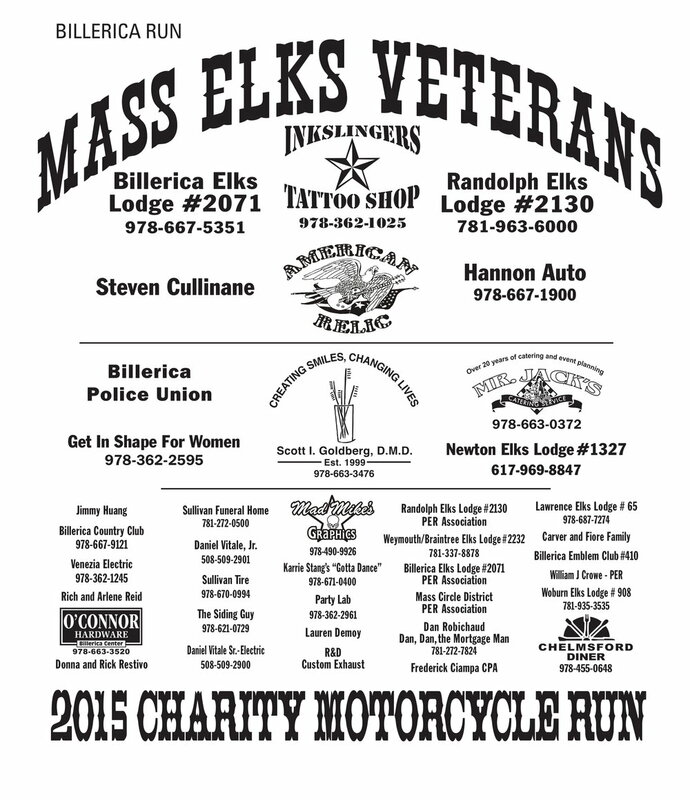 $16,411.15 WAS RAISED TO HELP VETERANS OF MASSACHUSETTS.